Diwali, the festival of lights, is synonymous with the lighting of lamps and bursting of crackers. How about we bring in some positive change this Diwali, which will help people around as well? 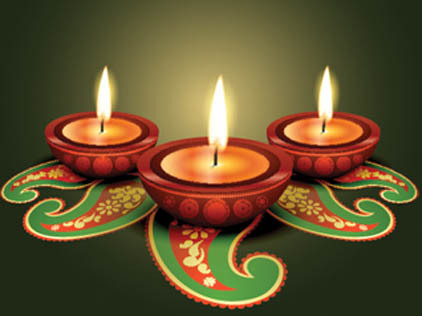 Get traditional and save electricity: Diwali is known as the ‘Festival of lights’. So, let’s ditch those bulbs, decorative lights and chandeliers and light up our homes with earthen lamps with wicks dipped in oil or ghee. Don’t waste food: There are numerous families that can’t afford even one complete meal, so how can they enjoy Diwali?Do not buy and cook loads of food and sweets and gulp it down forcefully. Rather, plan well as per your guest’s list and you can also cut short on the crackers list. You can use this money to buy food and useful gifts for the people who are really in need. Celebrate with a new meaning: Our country is a blend of several religions and so many festivals. Let us give it a new meaning by celebrating this festival of lights with our Muslim, Christian and Sikh friends. Use this as an opportunity to introduce one’s culture to another. Such acts will encourage unity and teach new morals to the kids. Spread love and compassion: Make your Diwali special and memorable by spending some quality time with elders and kids who don’t have a family. There are several orphanages and old age homes in the city, so finding one is easy. This is a time to exchange happiness, love and compassion. Go ahead and put a smile on at least one such pretty face. Have a healthy family: Pollution is at an all-time high during and post Diwali. Say no to crackers if you haven’t bought it yet. Instead, gift a sapling to friends and relatives along with sweets. This effort will sweeten the celebrations of your loved ones. Plants are a great way to keep the environment clean, pure and positive. Decorate your neighbourhood: Every year we paint and touch up our homes. But no one pays attention to garbage dumps in the locality, which stinks and is a veritable house of all ills. Have it cleaned up, painted afresh. Join hands to clean the society as it encourages positive atmosphere in neighbourhood.